Six months on from the independence referendum Scotland has a new First Minister and cabinet, new opposition leaders and Scottish candidates are poised to play a crucial role in the coming General Election campaign. 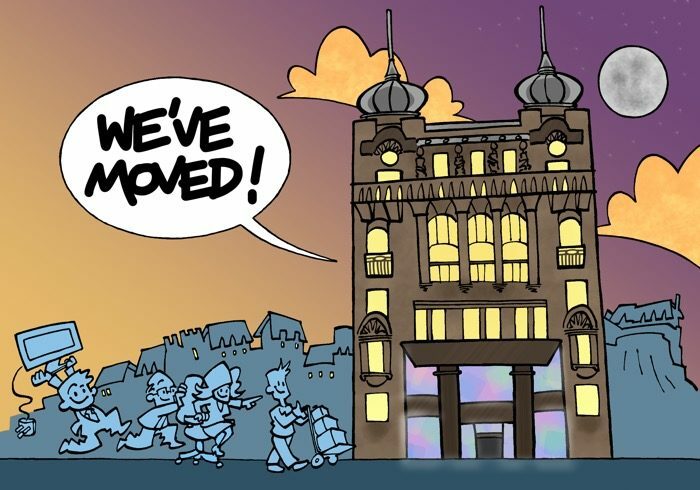 As they move to a new Edinburgh office our friends at PA Consulting will host a look back at The Auld Acquaintance, our exhibition of cartoons from around the world on the topic of the referendum that toured five venues around Europe in 2014. Studio Co-ordinator Terry Anderson will be on hand with a selection of particular favourite cartoons from the show, many of which reveal how colleagues from other countries see Scotland, her people and politics. Please note this is a by-invitation-only event. Keep an eye on the blog for further Studio talks and workshops to come later in the year.